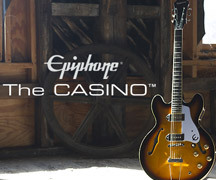 Epiphone's top-selling Special-II gets Revved UP! 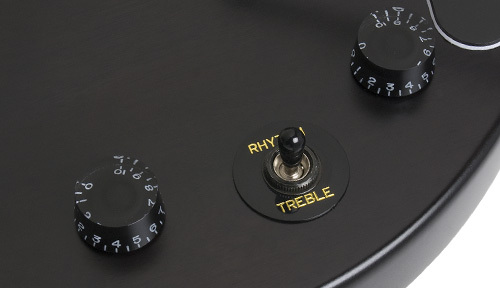 Since it's introduction almost 20 years ago, The Special-II has met the needs of countless musicians with it's combination of Les Paul features, great tone and affordability. 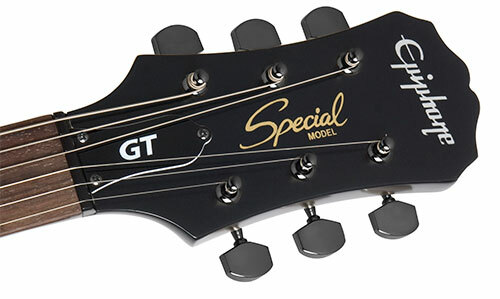 Now, Epiphone puts a new twist on this classic with the NEW Special-II GT. Like the Special-II, this is a full-on, in your face rockin' machine with all the same features (and more!) 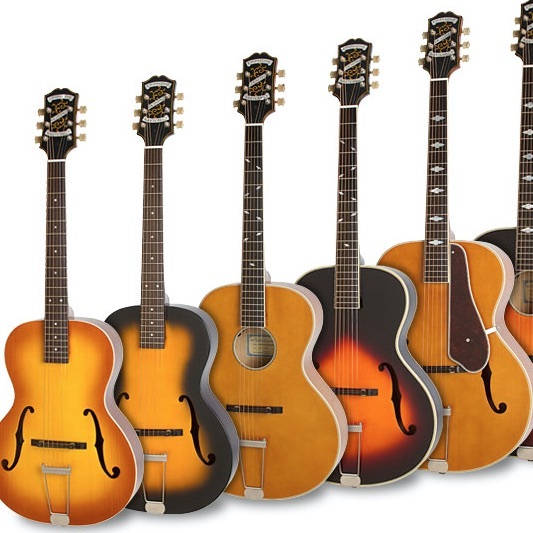 that you've come to expect from Epiphone. High-Out Ceramic Pickups: Providing the sizzle and snarl that you can only get from humbuckers is a 650R (neck) and 700T (bridge) pickup combo. You'll be amazed how these U.S.A. designed pickups with their high-output magnets add more highs with increased definition and no muddiness. Slightly over-wound, the hotter 700T bridge pickup is smooth but can give you a little extra scream or growl when you need it while never losing its rich combination of enhanced lows and crystal clear highs. Cool New Electronics: Always an innovator, Epiphone has equipped the GT with a patent-applied-for combination Master Tone and Kill Switch. Operating just like an ordinary tone pot, if you push or "tap" it down it acts as a KILL switch muting all output signal and creating a cool effect (think Buckethead!) when combined with distortion. Is that a WHAMMY bar? Yes it is! Epiphone has equipped the new GT with a vintage style tremolo what allows you to bend strings and chords with ease. Typically not found on Les Paul guitar, this combined with the kill-switch, this guitar can create amazing effects - all at a price that won't break your budget. 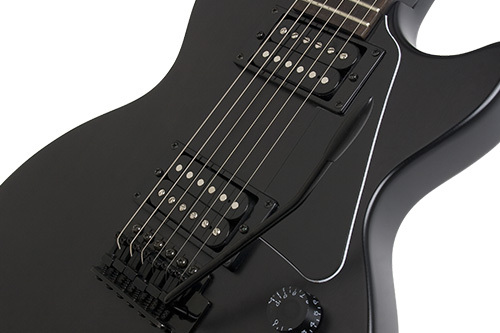 The Whole GT Package: Other features include a tapered heel for more comfortable access in the upper frets, Epiphone's patent-applied-for LockTone(TM) tune-o-matic/stopbar combination for re-stringing ease and increased sustain and of course, their Limited Lifetime Warranty with 24/7/365 Customer Service. Top it all off with a Rosewood fingerboard upgraded with pearloid parallelogram inlays and 22 medium-jumbo frets. With this GT's singlecutaway design and a contoured, recessed bolt neck, all 22 of those frets are easy to access and it's SlimTaper(tm) neck profile make it comfortable and fast. Wrap it all up in a thin "worn" black finish that feels vintage all with a price tag that any guitarist can afford and you've got a NEW Epiphone classic made just for you!